The upcoming remake of Resident Evil 2 was unveiled by Capcom during E3 a few weeks ago. So far, fans welcomed the remake with open arms, and the recent gameplay trailer showcased what players can expect on the upcoming game, and to be honest, it looks terrifying. 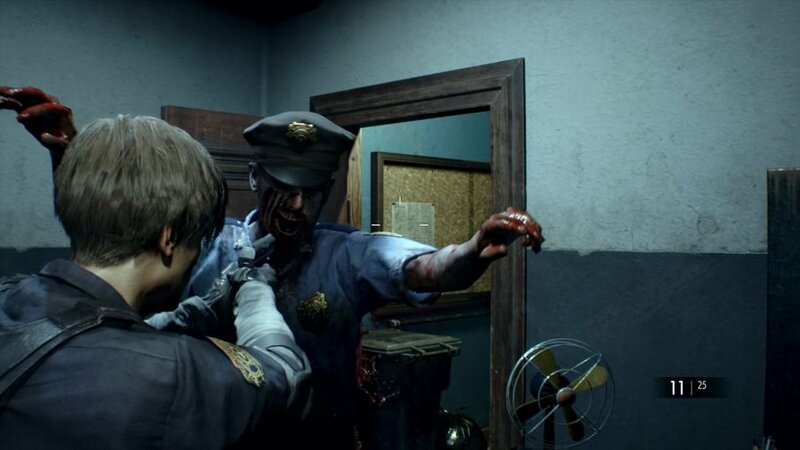 Besides the few details revealed at the event and preview trailers, Capcom is still silent about the development of Resident Evil 2 Remake. However, VG24/7 discovered in an interview during E3 that the remake will not have a set difficulty option like the original game. Instead, REmake 2 will implement an adaptive difficulty mechanic, which debuted in Resident Evil 4. So this is another aspect of REmake 2 that sets it apart from the original game. Based on the trailers alone, we know that the remake is implementing an over the shoulder perspective as opposed to the original fixed camera angles of the classic title. So the adaptive difficulty is another way the remake is more similar to more recent RE games. The more times a player dies, the easier the game gets, but Capcom promises that the scare factor will be present all throughout the game.